When doing whisky tastings, themes are great but sometimes going a bit random is even better! And that’s exactly what we did this month with the Whisky Ladies…. we invited contributions and then discovered what they brought! What did we explore in our Ladies Choice evening? Curious to know more? Just click on the whisky links to read what we thought! 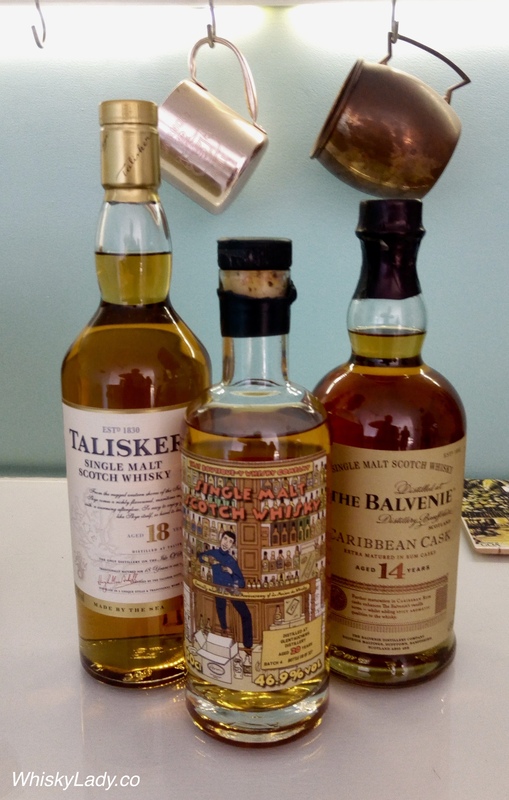 This entry was posted in Blends, Island, Scotland, Speyside and tagged Ballentine's, Balvenie Carribean Cask, Glentauchers, Talisker 18 by Carissa Hickling. Bookmark the permalink.